Traditional American landscaping focuses on maintaining a manicured green lawn. However, the National Wildlife Federation has some better environmental choices for people and wildlife by including native trees, shrubs, ground cover, prairie or meadow patches, flower beds and attractively mulched areas. Approximately 20 million U.S. acres are now planted as residential lawn. 30-60% of urban freshwater is used for watering lawns. 67 million pounds of synthetic pesticides are used on U.S. lawns annually. Areas of lawn that include only one type of plant, such as grass, offer very little habitat value for wildlife. Yard waste, mostly grass clippings, makes up 20% of municipal solid waste collected, and most of it ends up in landfills. 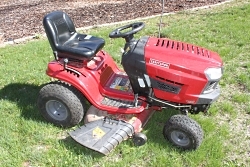 Save time and money that you would normally spend on mowing and fertilizing grass. Provide habitat and food for wildlife. Reduce lawn mower pollution and decrease run-off from fertilizers and pesticides. Use native plant species as ground cover instead of grass. Cover your turf grass with 6-10 layers of black & white newspaper or brown cardboard. There is no need to remove the grass first. Make sure the sections overlap one another so that grass and weeds will not come up between the cracks. Wet down the newspaper or cardboard. Cover the newspaper or cardboard with a 4”- 6” layer of mulch or soil. Allow turf grass and weeds to die back for 4-6 weeks. 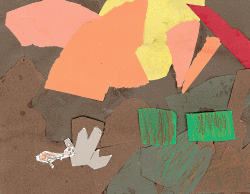 Plant directly through the mulch and newspaper/cardboard. If you know you’re going to be planting trees or shrubs, dig the holes before putting down layers of paper. Determine what native plants are already thriving in your site. Encourage the native plants already present and replace exotic invasive species with native ones. The Lady Bird Johnson Wildflower Center has lists of recommended native plants by region and state at www.wildflower.org/collections. There are 158 listed for Utah. Organic mulch can reduce weeds, prevent erosion, improve soil nutrients and increase water holding capacity. Borders of rock or weed can bring a sense of order to a “wild garden” in an urban or suburban neighborhood. This may make your natural landscape more acceptable to neighbors. And don’t forget to make a place for people as well. A bench or path will accommodate this nicely and add to your enjoyment. This is Ron Hellstern, and I am Wild About Utah. Utah is a wildly diverse place. 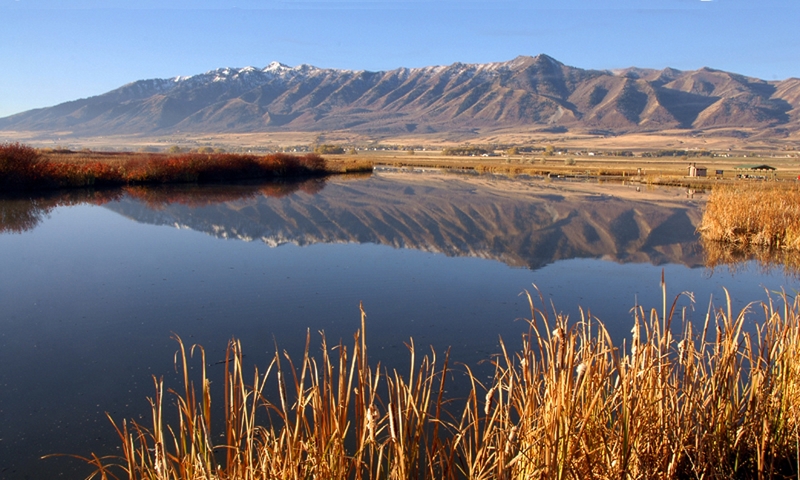 Ecological and biological diversity are usually tied to an abundance of water; but here in Utah, despite our relative lack of the wet stuff, we boast of at least nine unique biomes spanning from the low-elevation Mojave Desert around St. George to the high Alpine Tundra of our many snowcapped mountain ranges. 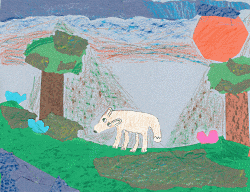 You can think of a biome as a large community of similar organisms and climates or a collection of similar habitats. Just recently, my third grade students wrapped up a semester-long investigation into seven of those biomes found in Utah including the high Alpine Tundra, Riparian/Montane Zone, Sagebrush Steppe, Wetlands, and the Great Basin, Colorado Plateau, and Mojave Deserts. We explored those biomes by way of researching a specific animal endemic in Utah to each of those biomes. We called our project “Habitat Heroes.” I’ll let a few of my students explain their findings. My name is Asher, and my animal is the Gila Monster. 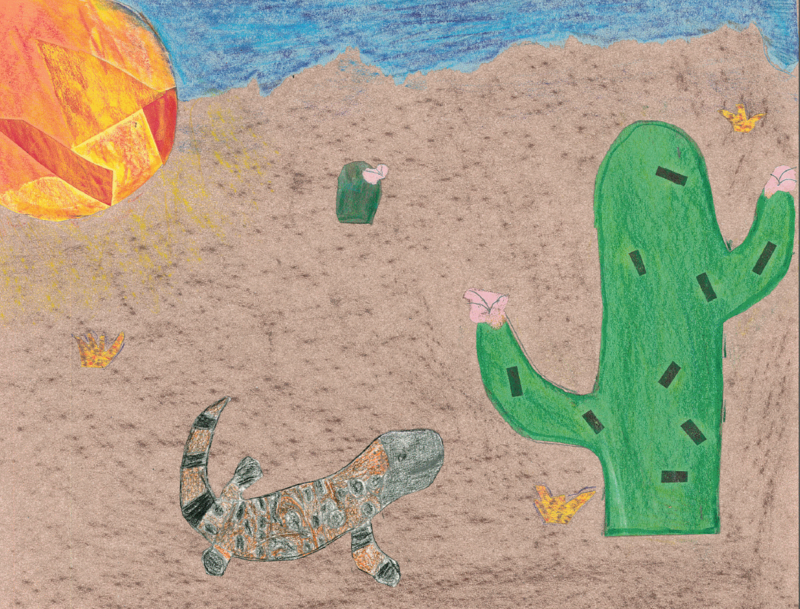 The Gila Monster lives in the Mojave desert biome in southwest Utah. Gila Monsters look like a lizard, just black and orange or pink and yellow with a black face and a short thick tail. Gila Monsters eat the eggs from ground birds, lizards, and snakes. Gila Monsters live in the Mojave desert in sandy areas and on rocky shelves and in burrows. I am Jane, and I am going to tell you about the pygmy rabbit. The pygmy rabbit lives in the sagebrush steppe biome in Utah. Did you know that a pygmy rabbit can protect itself by hiding in the sagebrush? They eat sagebrush and they drink lake water and river water. They have to chew on food to keep their teeth short. My name is Haven, and my animal is the red fox. The red fox lives in the alpine tundra biome in Utah. Red foxes eat small mammals, berries, insects, and other food, too. They have huge ears so they can hear when other animals are coming. The red fox is a really tricky and aggressive animal because it can do a lot of really tricky and aggressive things! 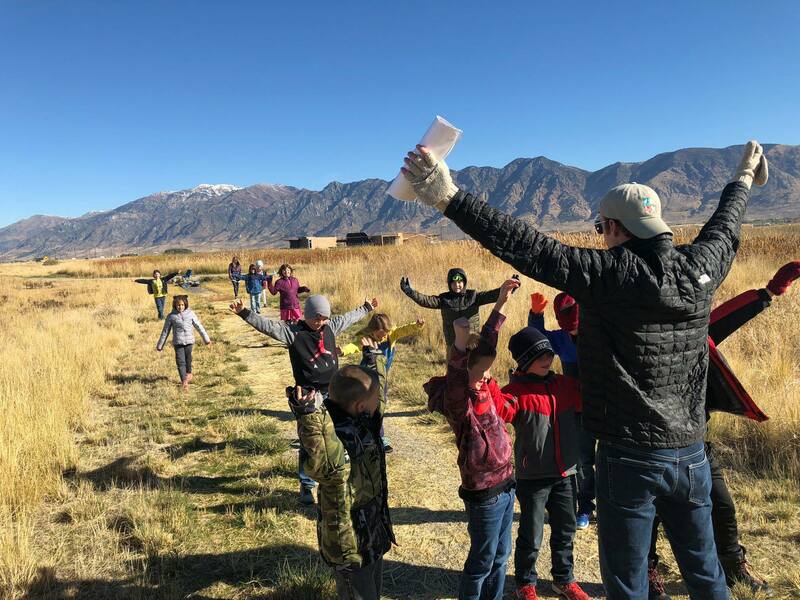 In addition to researching the different biomes and learning about the adaptations animals must possess in order to survive there, these third graders have been visiting the several biomes local to Cache Valley and investigating their research animals’ habitats. 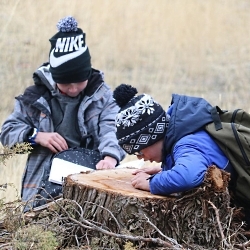 These experiences have been powerful in helping students realize what it’s really like to exist in the wilds of Utah. 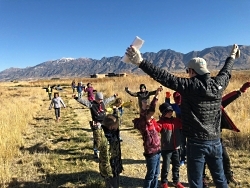 I’m Josh Boling, and I’m Wild About Utah! Here it’s just called, The Canyon, like there is no other. It’s a place we go to get away from, or get into, it. It’s a place that still lets us trust each other’s word, and have plans on when we should be back. For those waiting on The Canyon, we practice patience and balance with our expectations. For those of us in The Canyon though, we have entered a different, older world. Out here, once up and away from the road, we find what keeps us out late, what drives us home early, and why we go back. Free from the paved groan, the threshold is passed, and the stories are all in front of us now. We hike old trails, finding new turns, flowers, and shades. We scout new paths blazed by others, leading to timeless vistas, stands, and grounds. We hear strange ancient birds. We smell new familiar fires. We taste life’s grit. The repetition is not the kind that gets old, going out and discovering; getting dirty, thirsty, hungry, bit up, rained on, or suddenly freezing mid-stride when you hear a branch snap in the wood aside from you and you like that you still have some of that good instinct left, especially in this age. The Canyon as we know it though did not begin as it now is, nor will remain. 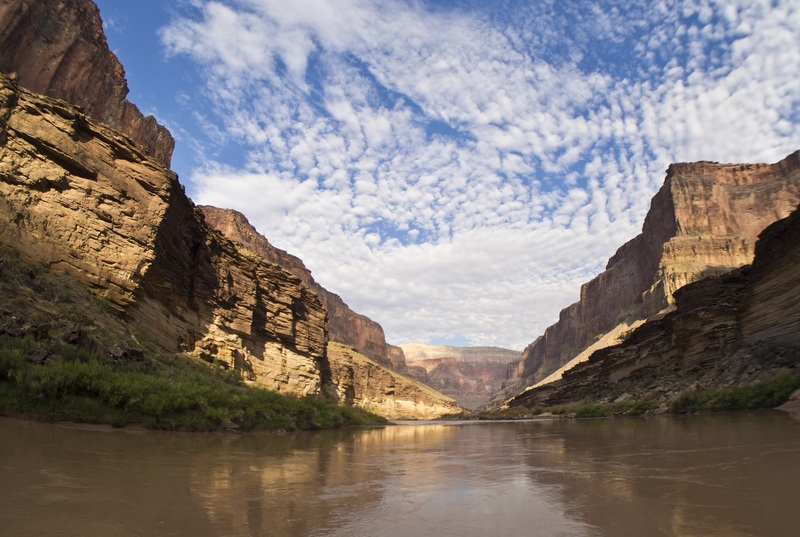 In its long winding life thus far, The Canyon has been sculpted by water, want, and what some call westward expansion. For some of us, we know the story like it was passed down every winter. For others, we quickly learn that it’s worth the stillness. Trees now grow on what was once an oceanic graveyard: the floor of a great sea. The very stone and rock that lifts dramatically upwards is an elaborate crosscut in geologic history taking place over millions of years. We find deposits of shells, fish, and other oddities as we ascend The Canyon, travelling through time as if in some wonder of which all museums aspire to be. On and into this grand mountainous slab came Guinavah, The River. The Canyon’s deep V-shape has been carved from Guinavah flowing water over the forgotten seabed once more, finely eroding a channel through, giving The Canyon it’s great bends; perfect for catching an eddied trout or fleeing a pesky cell signal. The River has been essential for humans as well for thousands of years. When the valley was settled, this time by Easterners in the mid-19th century, Guinavah became known to these settlers eventually as Logan River. Historically, these lush environs once donned The Canyon’s many great iconic mammals, but the iconic do not easily survive in the limelight. 100 years after Eastern settlement, the once-abundant bison, bighorn sheep, and brown bears were gone. To mark their absence, we have Ephraim’s grave and the imagination. This said, there is certainly no general void of wildlife in The Canyon. Seeing another traveler is always a blending of curiosity at what they’re up to, and of gratitude that they’re out here too. From here our paths diverge. Some of us continue the hike. Some of us continue the hunt. Some of us back away slowly and keep an eye on the company. This is the world of The Canyon, a product of its many stories. For us who see the Canyon but have yet to venture in, there are ways in all seasons to experience it. 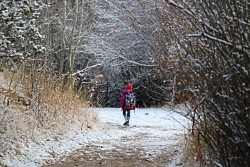 Try a trail, Fork, or any number of Hollows, and visit one of the last quiet places in any one of the unnamed corners of your 1.6 million acre backyard. It’s a good place out here. Many go out to experience how The Canyon is now, many go out to experience how it All once was, this is an invitation to go and experience of how It can all still be tomorrow. I’ll see you at the trailhead. 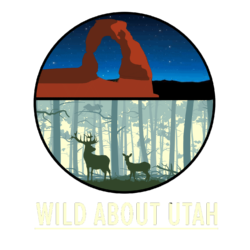 I’m Patrick Kelly and I’m Wild About Utah. Rivers and sandstone pretty much define the Colorado Plateau- perhaps my favorite landscape on our lovely planet. These past few weeks I’ve experienced some of its best in Dinosaur NM and Canyonlands NP with friends and students. 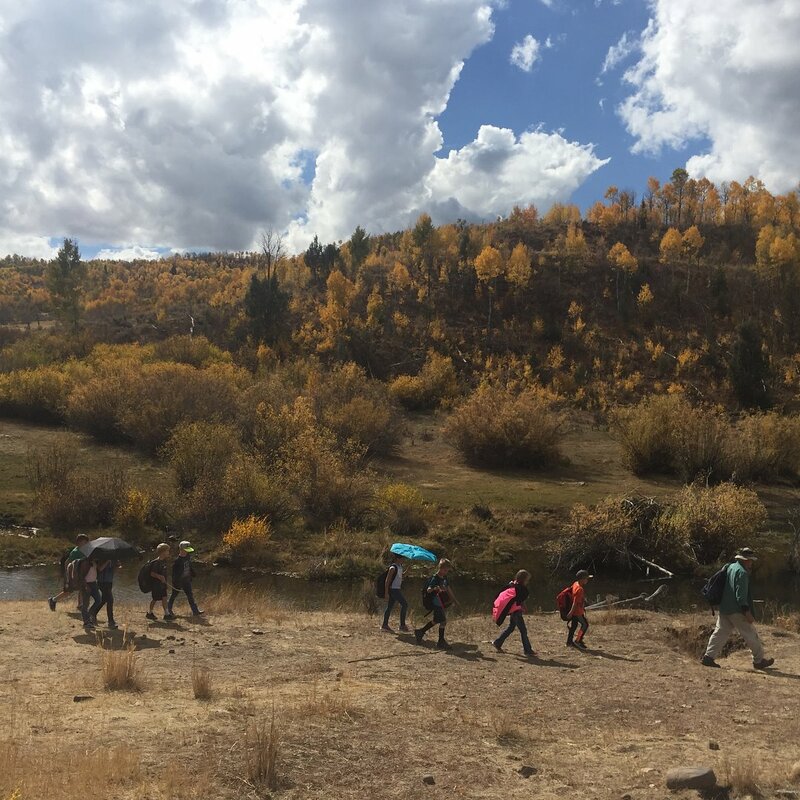 Those magnificent rivers- Green, Yampa, Colorado, San Juan- have worked their marvels slicing through thousands of feet of sandstone mixed with a bit of limestone and shale. To stand on a rim and look over a hundred miles of convoluted, tortured land form feasts the convolutions of one’s brain. And the contorted, gnarly juniper trees that adorn the rock seem to reflect those lands that nourish them, some nearing a thousand years of fire and storm. 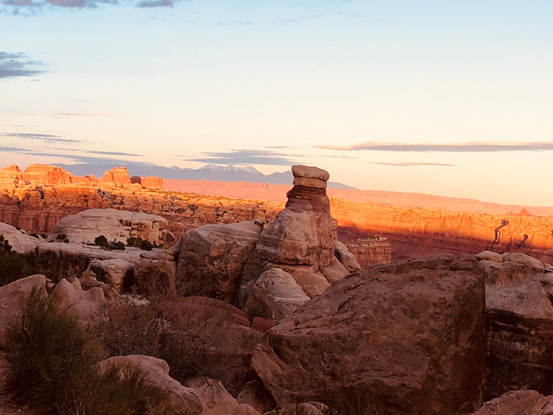 “The landscape everywhere, away from the river, is of rock – cliffs of rock; plateaus of rock; terraces of rock; crags of rock – ten thousand strangely carved forms.” John Wesley Powell, July, 1869 on his first river trip through our Canyonlands. I love the names assigned to the rock formations- Weber, Morgan, Cedar Mesa, Carmel, Navajo, Entrada, Kayenta, and so on, each associated with particular strange formations- arches, bridges, towers, turrets, endless. And the improbable snow covered peaks adding welcome contrast from the sun baked sandstone- Lasalles, Abajos, Henry’s- laccolithic bumps in the earth’s crust whose overburden of rock and soil stripped away by millions of years of storm and gravity. Even more improbable are the myriad life forms that adorn these “waste” lands. Well over a thousand plant and insect species, hundreds of varied birds, mammal and reptiles. 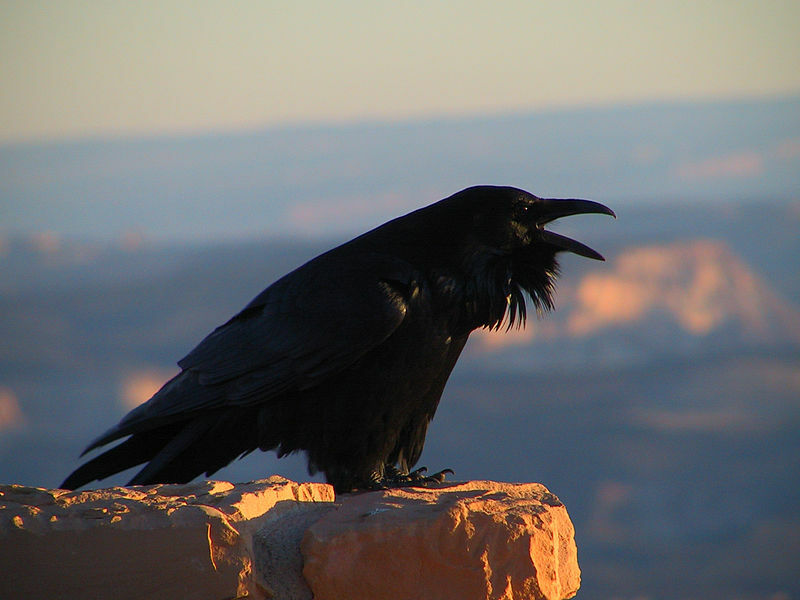 One bird in particular is a symbol of this wild, splendid country- they call it raven. Their intelligence and mischievousness are legendary. Last week I was the victim. 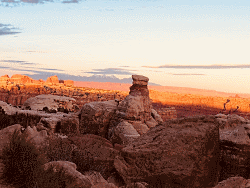 I left a stack of Canyonlands books setting on a table. After an all day, epic hike I returned to a tattered book missing a few pages, and another small paperback gone. Can these enigmatic rascals read? Another part of this magical country are the cultural leavings of the ancestral Pueblo and Fremont people. I always take pause when their startling presence appears. How could anyone survive, even a few weeks, let alone a few thousand years in this harsh, unforgiving environment? Only through an intimate relationship with their natural surroundings, especially plants. Who could grow a garden on poor sandstone generated soils with little rain and extreme temperatures? But they did. A wonderfully written book “Wild Plants and Native Peoples of the Four Corners” is a must read. It’s done with cultural sensitivity along with excellent details on preparing them for use- food, fiber, medicine and décor. And finally, Ed Abbey and Terry Tempest Williams captured the spirit of these great lands in verse- “Desert Solitaire” and “Red, Passion and Patience in the Desert”, must reads. 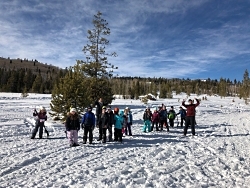 Jack Greene, Getting wilder about Utah by the minute!